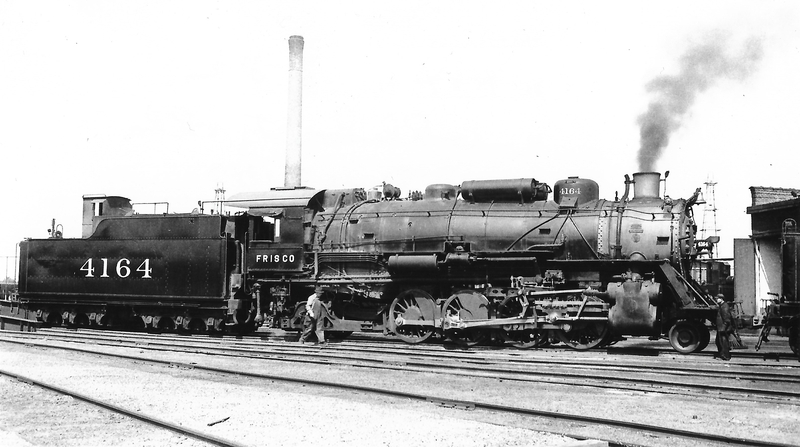 2-8-2 4164 at Oklahoma City, Oklahoma on June 3, 1940 (Arthur B. Johnson). U30B 837 at Oklahoma City, Oklahoma (date unknown). In the background are several buildings of the Producers Co-Op Oil Mill. Further in the distance is downtown Oklahoma City with several high-rise buildings showing above the mill. The train is on the Chickasha Subdivision of the Southwest Division. 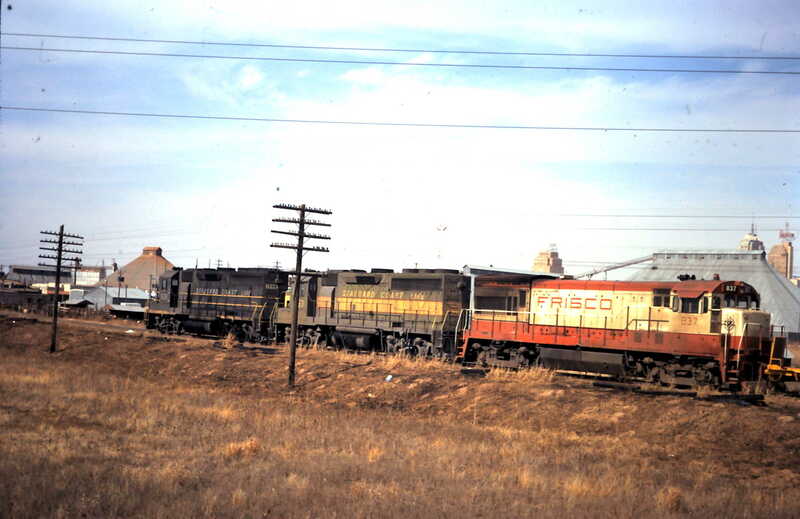 It is westbound, has just crossed the Oklahoma River, but is east of the Santa Fe Railroad underpass, and just beyond to the west the former Oklahoma City depot (joint with the Rock Island). Just to the east of the Oklahoma River is Frisco’s Oklahoma City Yard. Based on the power consist and sunlight angle, this is most likely hotshot train QLA (Quanah, Los Angeles), due out of Oklahoma City at 11:30 AM. Shortly, it will be followed by train QSF (Quanah, San Francisco), due out of Oklahoma City at 1:55 PM. Boxcar 700152 at Topeka, Kansas on April 5, 1998 (R.R. Taylor). 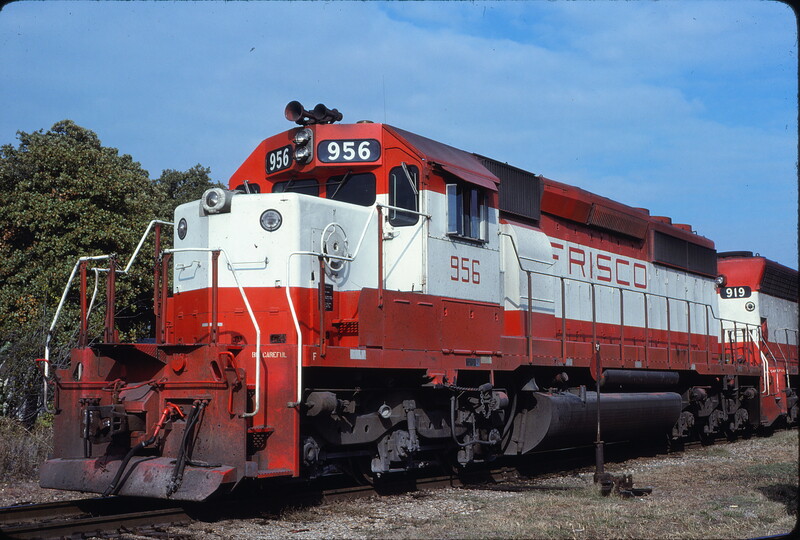 SD40-2 956 (location unknown) on November 4, 1979.